How do fact-checkers combat misinformation in the United States and how can media literacy been increased? 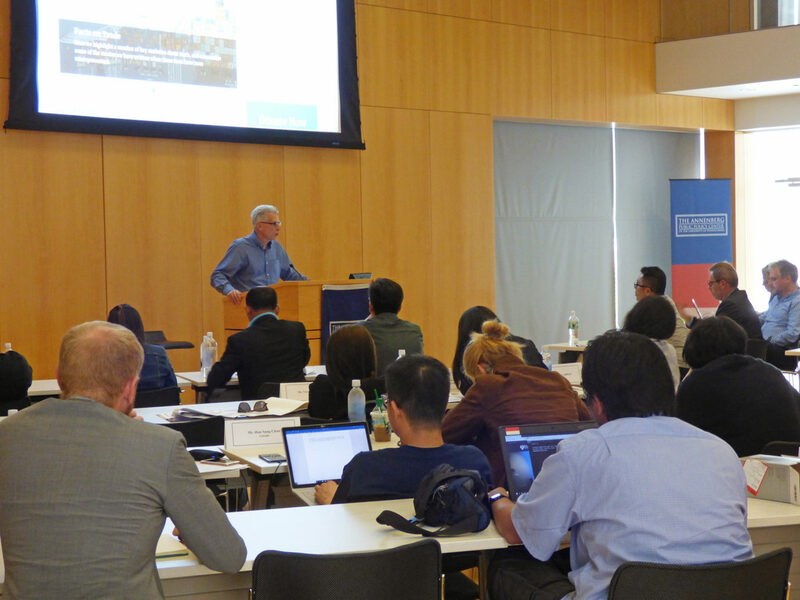 Two dozen journalists from around the globe visited the Annenberg Public Policy Center this month to discuss media literacy and how to combat misinformation. The journalists, from nations including Greece and Indonesia, Iraq and Nigeria, took part in a three-city U.S. tour organized by the U.S. State Department’s Foreign Press Center. They met with news organizations, fact-checkers, researchers, social-media experts and others. In their October 2, 2018 visit, the journalists met with FactCheck.org director Eugene Kiely, who spoke about FactCheck.org’s partnership with Facebook to fact-check misleading viral rumors posted on the social network. The reporters and editors also heard from APPC director Kathleen Hall Jamieson, who co-founded of FactCheck.org in 2003. Jamieson spoke about the role Russian hackers and trolls played in the 2016 U.S. presidential election, which is the focus of her new book, “Cyberwar: How Russian Hackers and Trolls Helped Elect a President,” published by Oxford University Press the day following their meeting. FactCheck.org director Eugene Kiely addresses overseas journalists.